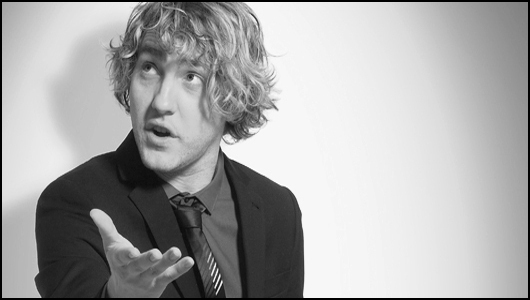 Review: Seann Walsh: Seann To Be Wild – Pleasance Beyond, Edinburgh. Walsh’s room capacity has more than tripled since last year, largely as a result of his regular telly appearances. But admirably, Walsh leaves old jokes behind tonight and offers up a heap of genuinely smart new material. Say what you like about Walsh, he’s on the ball; tonight’s observations move through binge drinking and the hangovers from hell, to iPhone ringtones and Jagerbombs. Basically, every 20 year old’s night on the tiles. I’ve noticed Walsh being compared to the observational Mr Grumpys Dylan Moran and Jack Dee; but there’s a charisma within Walsh that undercuts the slight misanthropy; he twists mundane situations, like walking through a cinema or phoning someone from your pocket, into side-splitting scenarios, with laugh out loud gags all in the right moments. There’s not really much to learn from Walsh’s show – other than it’s worth enduring a hangover for the memories it provide. But what you do get is a solid hour of laughs from one of the UK’s rising talents.